Heading to Chinchilla for work or just passing through and wanting comfortable Chinchilla motel accommodation? Acacia Motel Chinchilla is the answer. This is a small family run motel which prizes itself on service, the cleanliness of the apartments and its home cooked meals. Catering for local workers with hot breakfast served from 5am as well as later breakfasts, lunches and dinners. Choose from a range of motel apartments including single rooms, twin share rooms and larger spaces catering for families. All motel rooms feature free wifi, air conditioning, undercover parking with off road parking for trailers, free foxtel, large communal bbq area and close proximity to downtown Chinchilla and the hospital. 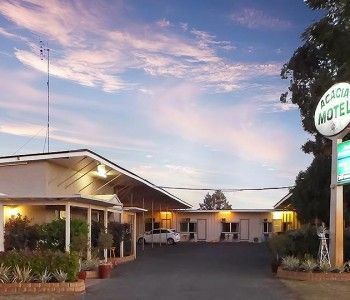 Located on the Warrego Highway about 290 kilometres from Brisbane or 185 kilometres from Roma Chinchilla is the perfect location to break the journey and enjoy comfortable and affordable motel accommodation. Once a rural saw milling town, Chinchilla is now the heart of the coal seam gas industry in the Western Downs district. Whilst in Chinchilla make sure you head about 8kms out of town to the Chinchilla Weir on the Condamine River. A great spot for a picnic, bush walking, water skiing, fishing or kayaking. With a range of shops including two major supermarkets, restaurants, specialty shops and sporting pursuits, you are bound to enjoy your time in this Western Darling Downs town. 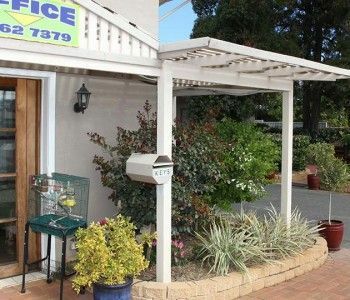 Ring us today to book your Chinchilla motel accommodation at Acacia motel for your next visit to Chinchilla. © 2016 Acacia Motel - Ultimate Motel Accommodation in Chinchilla. Darling Downs Accommodation Queensland Pet Friendly Accommodation.